You must make reservations at least 5 minutes in advance of the time at SAX Restaurant. The Reeds offers a variety of private banquet spaces that can accommodate 10 to 220 guests. Please contact The Reeds Sales Department at 609.368.0100 for more information on private party menus and availability. 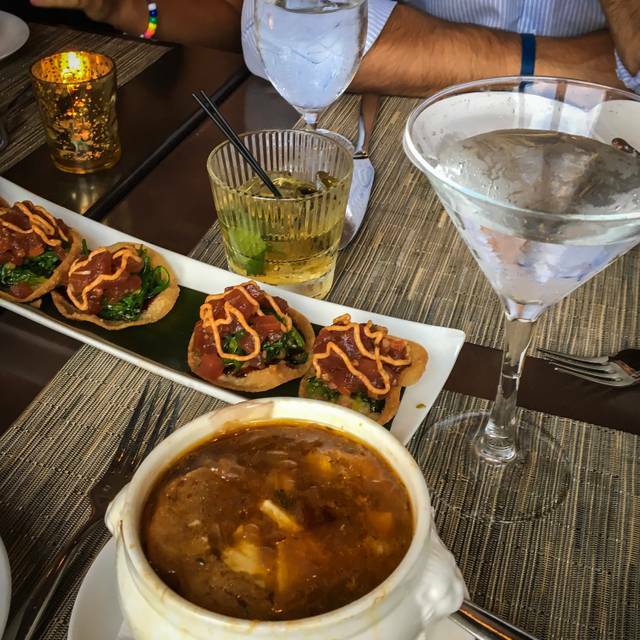 SAX offers a delectable every day dining experience with eclectic fireside menus for breakfast, dinner and drinks. Designed with comfort and relaxation in mind, SAX menus are perfect for any meal or gathering. This coastal experience paired with a warm and welcoming atmosphere, offers a feeling of home for casual, family-friendly dining throughout of year. With extensive appetizer selections including buffalo shrimp, fondue, fried calamari, steamed mussels and truffle mac ‘n’ cheese in addition to homemade flat-breads and SAX’s signature cornbread, a classic comfort food, guests can indulge in a variety of starters or pair them with a favorite entree and dessert. Staff was totally unorganized. Noise from wedding was way too loud. Of eight very loud women.....I love the sounds of fun so it was ok.... and then a relief to leave to the quiet evening. Second time there, new to the area looking forward to returning. Love the food and servers are very nice. One drawback is the weddings, 1st time not too loud this past time very loud. Probably go weekday next time. The waitstaff were extremely attentive! We really enjoyed the Bouillabaisse and the Steak entrees!!! It was a very pleasant meal! What a wonderful dinner we had for our twentieth anniversary. Excellent food and service. We had the beautiful room all to ourselves as we had a very early reservation on a cold and windy early spring Sunday evening. We can't wait to go back. Food was very good, Waiter was excellent! Need more wait staff for busy spring weekends. Great atmosphere, Emily the waitress was so personable and food was delicious! We will definitely be back there. The service was awful. There were only two or three tables occupied and we had to keep asking server for things such as more water etc. Pretty much the same as always on a Saturday night. Very noisy with wedding next store. Service slow. Pricy. Food is saving grace -- but overpriced. Drinks generous. We had a very enjoyable dinner. I had the salmon cooked to perfection and my husband enjoyed the duck. I must mention the outstanding dessert, Sticky Toffee Pudding. Well worth saving room for this decadent dessert. Services was excellent. enJOYed the first time experience from valet parking to the coffee. Crab Dip appetizer was delicious. Duck Breast and accompanying potatoes were awesome. Apple cheesecake was one of the best deserts we have ever eaten. Service by Ashton was impeccable. Looking forward to another visit - soon! Perhaps our expectations were too high. The service was the worst we have ever had at Sax. It took 20 minutes for our server to ask if we wanted any drinks and when we ordered the wine and he said he would be right back it was another 15 minutes. 30-35 minutes to get started is poor service. Our server said he had been a manager at another restaurant, but that is hard to believe considering how he was not able to properly serve a table. Nice atmosphere , good food , great service . Our first visit for dinner, won't be the last. Warm personable greeting, each request handled with smiling enthusiasm. A very tempting menu. Small but well thought out wine list. Our server Emily was excellent, and the Manager Steve was observant and helpful. 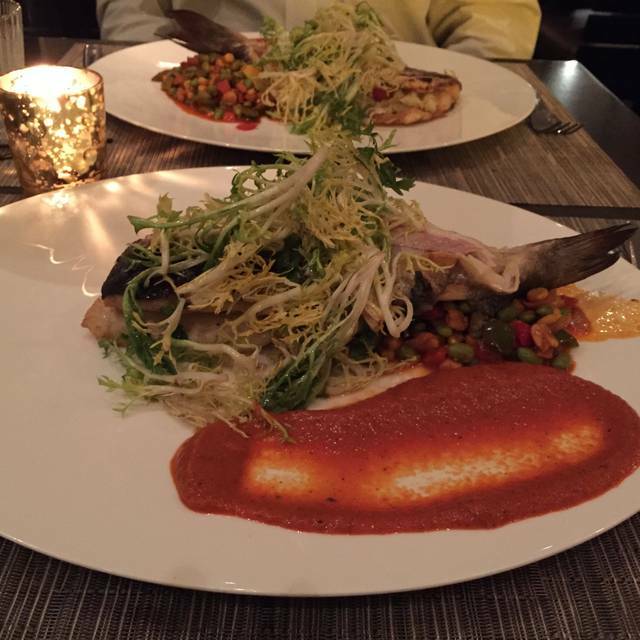 Our meal was fabulous, portions generous, preparations on point and presentation wonderful. I want to try everything on the menu. The seven of us enjoyed a NYE dinner at the restaurant and were pleasantly surprised. We did the same a few years ago - and it took a long time to be seated, and the service was slow and the wrong food was delivered. This time we were seated almost on time, the food was excellent, and the service met our expectations for a special NYE dinner. SAX was the perfect choice for a relaxed New Years Eve dinner. The food was great and the service was wonderful! The kitchen was a bit backed up when we arrived for our reservation so they suggested we stop at the bar before being seated which was much better than sitting and waiting at the table. The servers on the floor were all in sync and worked well together. We were very impressed and thoroughly enjoyed our evening. We spend summers in Stone Harbor but The Reeds has us visiting year round now. Well done! Albeit, it is New Year's Eve and a busy evening for any restaurant. Ashton, our wait person, did a wonderful job despite the fact that the restaurant was obviously short staffed by 1 - 2 individuals. The food was very good and nicely presented. What was disappointing was the inability of the staff to accommodate a table request change. Both the hostess and another woman were adamant that the table they sat us was where we were to sit. Period. Interesting, the table we requested was empty (and used to house water pitchers) for two hours. The front of the house really needs to understand that they are as key to a good customer experience as the kitchen and wait staff. They simply don't get it. We had several meals from Sax during our six night stay at the hotel. We enjoyed everything we had for breakfast, dinner, dessert and snacks - in the dining room or via room service. Very pleasant staff and hard working manager. Definitely will be back! We had the ahi tuna appetizer which was very tasty. My husband ordered the braised short ribs which was so tender and delishious. My chicken dish was not as flavorful. I had entre envy and will order the braised ribs next time. We were in town for a wedding and decided to go to Sax. The place is great and we had a wonderful dinner. We reserved a table for two at 5PM on Christmas Day. We arrived 10 minutes early but were seated immediately by a delightful wait staff Kim. The atmosphere was relaxed and peaceful. We started with the cornbread, followed by soup, clam chowder best I have ever eaten, my husband had tomato soup which he described as a perfect blend and taste. 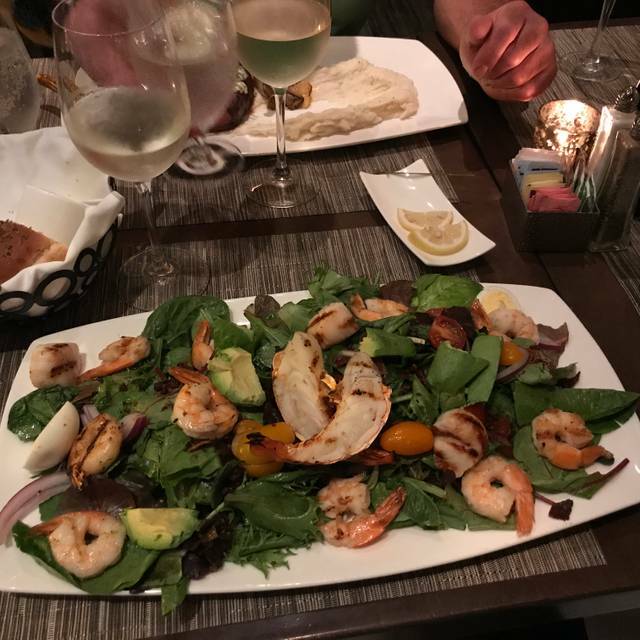 I had the grilled seafood platter which was excellent and my husband had NY steak filet cooked to perfection. For dessert we shared an apple cheesecake which was creamy and delicious. The service was excellent, food delivery superior and beautiful end to Christmas Day. We definitely will return and can't wait to try the waterfront dining when the summer season returns!!! we showed up 20 min early and they were still setting up. when making reservation we were asked if it was special occasion, it was anniversary ( no one mentioned it) guy pouring water was also waiter? No name given, I heard others ask him his name also. Waiter was a nice guy and things moved in a timely fashion until a couple brought in their 2 little brats and ruined the whole thing with the screaming and whining!!!! had to get out of there, No dessert fast few sips of coffee. was better a few years ago. Based on going there on a recent Friday night, my assessment is that this is a good choice for the off season as it was pretty quiet, easy to get a seat and they offer good food. Drinks are always good here. They make a good cosmo by using real lime juice and my G & T was in a very tall glass! I had the Sax burger which was excellent and my wife had the crab cake sandwich which said was good. Caesar salad was enough for us to share. They offer higher end entrees as well that looked pretty good. This is a good option if you want to go somewhere other than the bar food restaurants in town. Best restaurant at the Jersey shore. 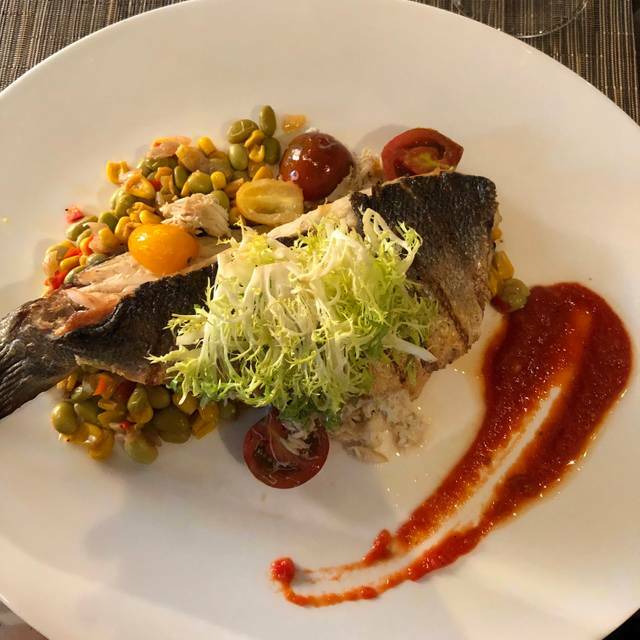 While I know people think great dining can only happen in Cape May, SAX has an incredibly diverse menu, excellent wine list, vibrant energy, and beautiful location. It is our favorite place to go when dining at the shore. Food was fair at best. Restaurant was out of a few main dishes so i had to request a dish not on the menu. Food was bland. Ambiance was nice. Drinks were very high priced. They were out of 4 of the entrees at a 7 pm seating. Food was flat, very little taste. Save your money. Our filet was overcooked! Was not the best meal we have had. It was ok, but.... for the price, should have been better! We were to meet our friends at 6:00 for a drink before our 6:45 dinner reservation. When we arrived, the bar was packed, as well as Sax for a cocktail hour for a wedding. I think when making a reservation, the restaurant should let us know if a wedding is scheduled that night. It was crowded, loud and we couldn't get to the bar to get a drink. Once in Sax, the rest of the night was fine.